(2011). Screening Effective Factors in Slurry Phase Bioremediation of 2,4,6-Trinitrotoluene (TNT) Contaminated Soil. Iranian Journal of Chemical Engineering(IJChE), 8(2), 29-40.
. "Screening Effective Factors in Slurry Phase Bioremediation of 2,4,6-Trinitrotoluene (TNT) Contaminated Soil". 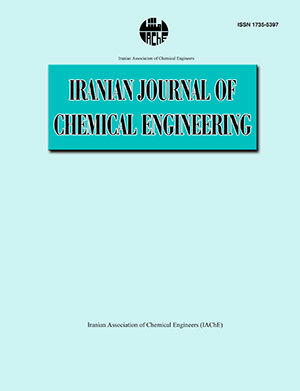 Iranian Journal of Chemical Engineering(IJChE), 8, 2, 2011, 29-40. (2011). 'Screening Effective Factors in Slurry Phase Bioremediation of 2,4,6-Trinitrotoluene (TNT) Contaminated Soil', Iranian Journal of Chemical Engineering(IJChE), 8(2), pp. 29-40. Screening Effective Factors in Slurry Phase Bioremediation of 2,4,6-Trinitrotoluene (TNT) Contaminated Soil. Iranian Journal of Chemical Engineering(IJChE), 2011; 8(2): 29-40.